This Key tag is packed with features your Customers will love. 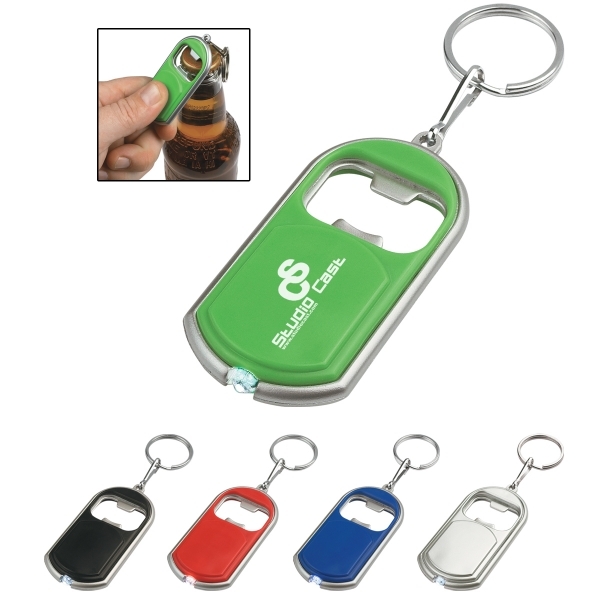 An LED light adds a high perceived value to this handy Bottle Opener Key Tag. Available in five of our most popular colors to highlight your Company's Logo.